When Maggie Gee was growing up in the Bay Area in the 1930s, she and her family went to the Oakland airport every weekend to watch the planes land and take off. Gee always watched for her childhood hero, Amelia Earhart, and promised her younger siblings she too would fly a plane someday. Chinese-American Air Force pilots to serve during World War II, during its annual spring festival and Mother's Day celebration. The event will incorporate wisdom and lessons that a Chinese grandmother, or popo, would pass down to her children and grandchildren. Gee will discuss her life and experiences, and she will describe the significant roles played by story telling and her own popo. She was recently awarded the Congressional Medal of Honor and is a member of the Women Airforce Service Pilots Association. An illustrated children's book about Gee's life was published in 2009, and the book's author, Marissa Moss, will read aloud from the book at Sunday's event. Mother's Day began unofficially in 1908 when a woman named Anna Jarvis organized observances in West Virginia and Philadelphia, according to the U.S. Census Bureau. Jarvis petitioned Congress to set aside a day honoring mothers, and in 1914, Congress designated the second Sunday in May as Mother's Day. 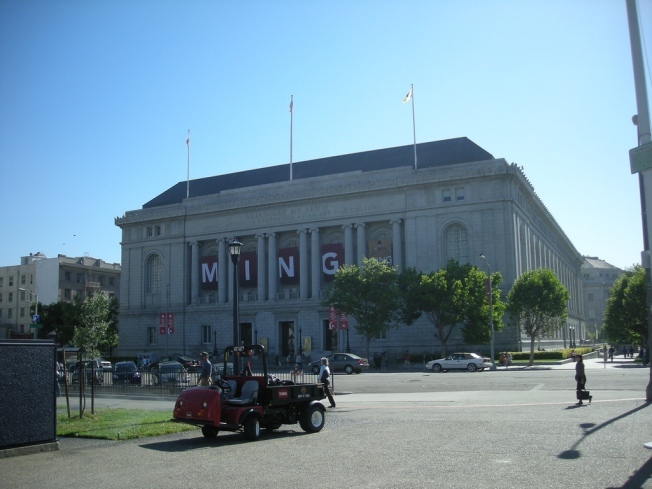 Sunday's event at the Asian Art Museum will run from 10:30 a.m. to 4 p.m. and is included in the general admission ticket price. The museum is located at 200 Larkin St. More information is available at www.asianart.org.